Two of The Brownsword Group’s Directors joined thousands of cyclists last Saturday for the annual Manchester to Blackpool bike ride. 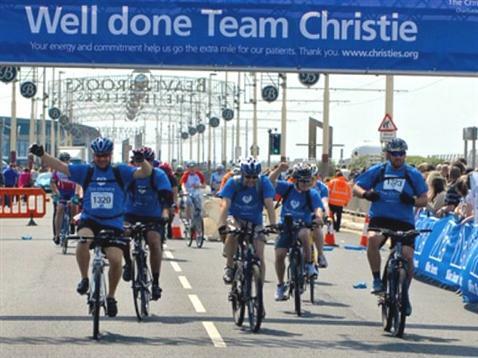 This event is extremely popular with cyclists from all other the country, covering a 60 mile route starting at Manchester United’s Football Ground at Old Trafford. 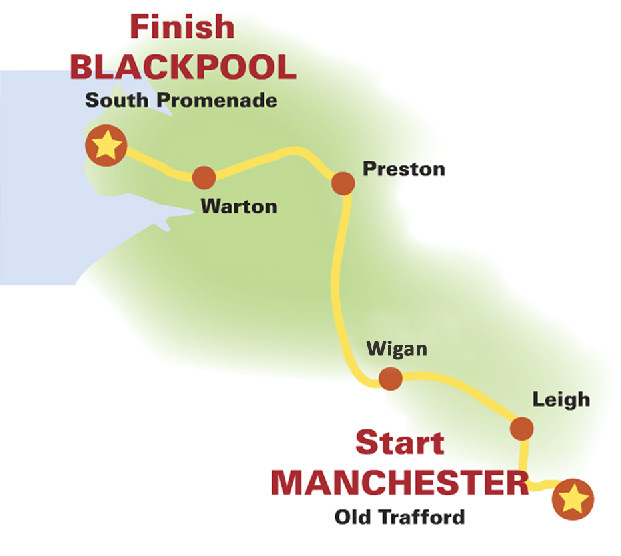 The route meanders along country lanes to the finish on the South Promenade in Blackpool, where riders were rewarded with a BBQ, live music and a well-earned massage! 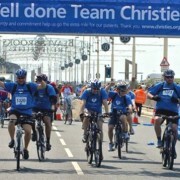 Our guys managed the ride in a respectable 4 hours and 20 mins, raising money for local Stockport charity The Wellspring. The Wellspring is a resource centre for homeless and disadvantaged people, offering numerous services including support with employment, mental health issues, clean clothing and shower facilities. Everything is provided completely free of charge. The project is open 365 days a year from 11.30am – 2pm and Monday to Thursday evenings from 6.30pm – 8pm. For more information about the charity and its work follow this link. Latest Figures on Fraud from the ABI Back of the net Aviva!